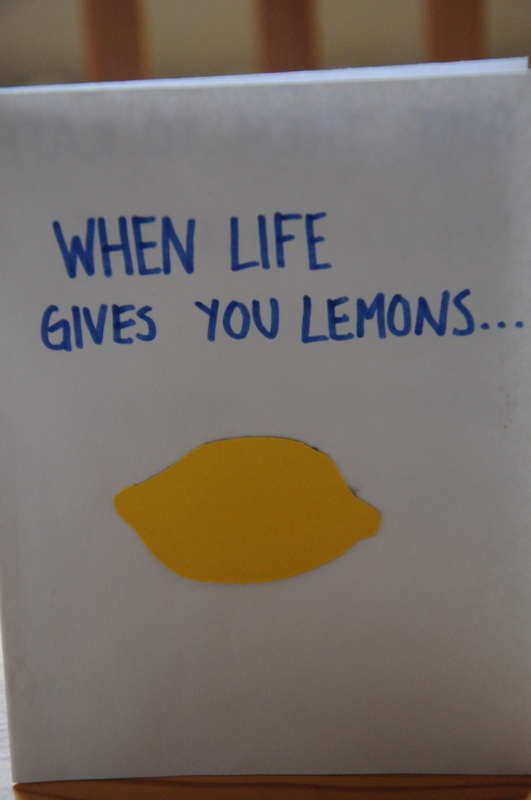 When life give you lemons…celebrate! 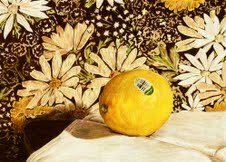 If you are familiar with this blog then you are well aware of my love for lemons. I started out this year boasting about the detoxifying properties of lemons. I’ve used lemons to fight the flu and even clean my sink. Lemons add massive flavour and nutrition to just about any dish but let us not forget their traditional role in the summer’s most popular beverage…LEMONADE! 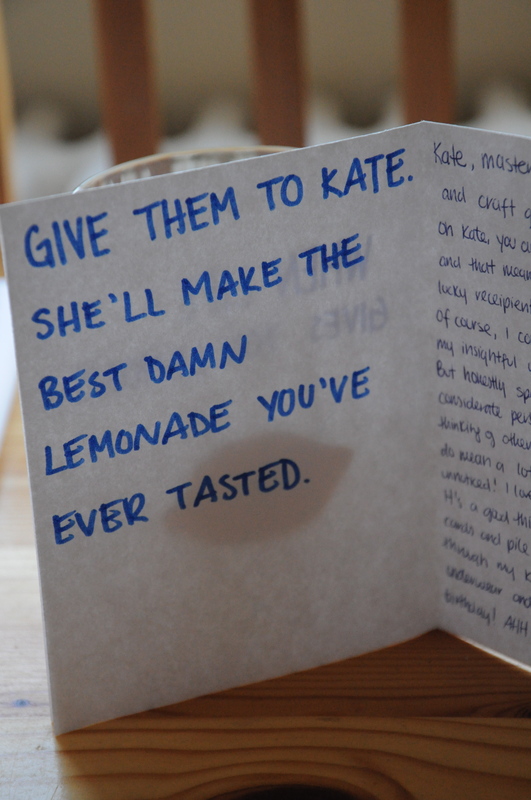 That’s right, as my friend reminded me way back on my 19th birthday, when life gives you lemons, make lemonade! When lemonade is made fresh and without a whole whack of refined white sugar it is a great thirst quencher. 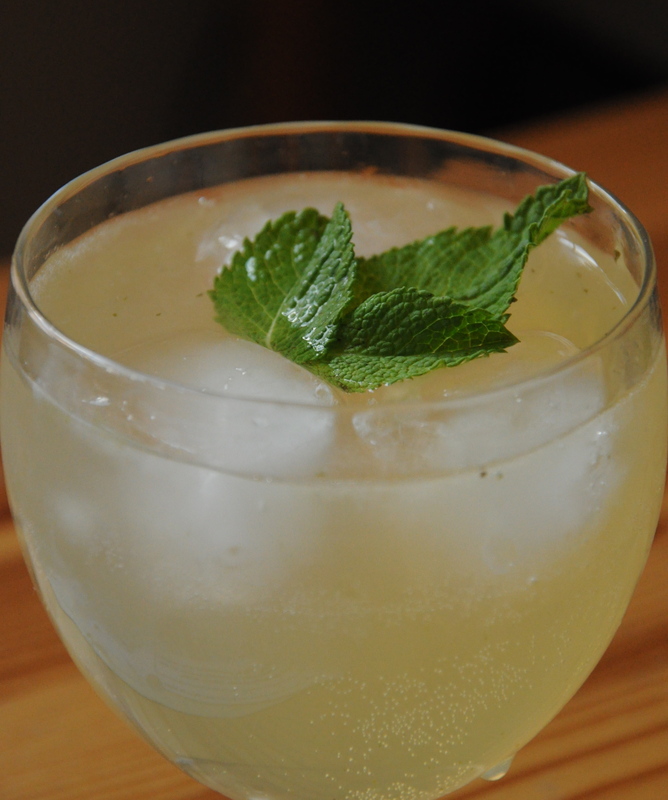 Adding fresh mint as I have done with the following Lemon Mint Refresher recipe makes the drink even more cooling for those hot summer days. Tasty and satisfying, this drink is a great alternative to soft drinks and alcoholic beverages. Add limes for a mock mojito or frozen berries for a pretty touch of colour. Find some nice glasses (or jars! ), a sunny spot and some good friends and indulge in a drink good for the body and spirit! Speaking of good friends…my pal Laura Heaney, the wonderful artist who drew the lemon above (yes folks, that’s a pencil drawing!) is showing her art this weekend at the Riverdale Art Walk. Pack a lemonade and go for a stroll, you won’t be disappointed! Laura’s food series highlights our increasing intake and acceptance of processed foods. Laura points out that “even produce is becoming processed these days – coming from other countries, being genetically modified, doused in chemicals, etc. While we know many of these foods are bad for us, they pull on our stomach and heart strings, playing on our nostalgic addictions.” Laura’s use of the renaissance still life form, which once represented the fresh bounty of the upper class, juxtaposes the reality of her subject – chemically induced food that is now “designed for the working class joe.” Laura’s hope is to get people to “realize what they’re eating.” I salute you Laura! The first step towards better nutrition and better health is to recognize and reconsider what we feed our bodies! This entry was posted on June 1, 2012 by katelivingfull in Nutritional info, Sweet Recipes.